Whether measuring a fictional rattling of the earth’s core or creating spore-like pods that radiate out of the walls, tables and ceiling of the gallery, both Abarbanel and Adams have the ability to create life-like motion out of static materials. Adams’s pieces from her series “A Certain Period of Time” are created with meticulous hand-drawn lines of varying length and density. As a group, these lines create a marker for the passage of time and movement with the exactitude of a calibrated machine. 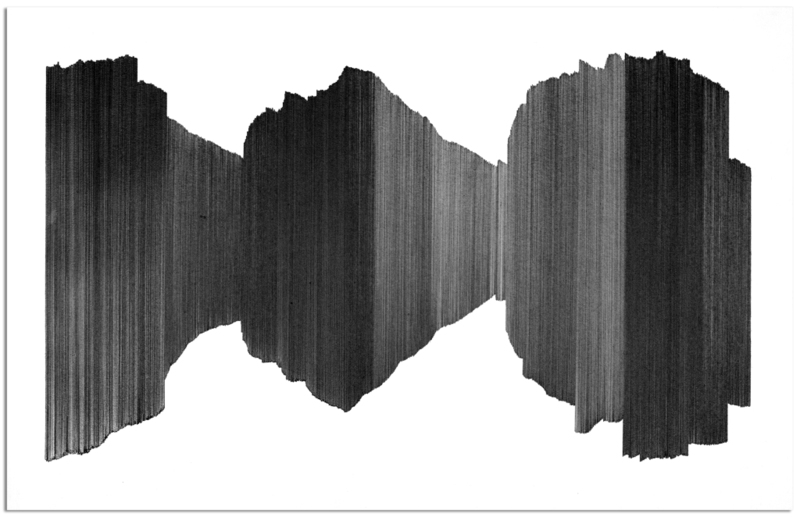 Like marks from a seismic counter, the resulting forms grow and oscillate on the paper building graphic depth from systematic process. Abarbanel, on the other hand, starts with precise machine-cut wood forms and hand assembles them with organic fluidity. 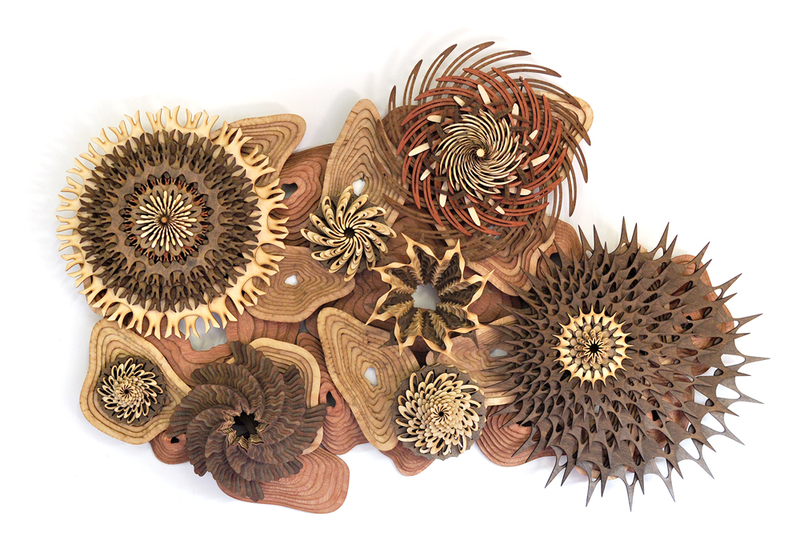 His pieces, like “Reef 09”, mirror the wabi-sabi effect of exploding spores and the indiscriminate growth of nature. In Abarbanel’s hands, the passage of time is marked by a birth of randomness; what begins in a state-of-the-art machine, blooms, and ends in a form of fluid beauty.